Citrine Crystal Point, Raw, Standing, Money, Brazil. This particular crystal stands 2-3/4 inches tall (7cm) and weighs 3.4 ounces (96 grams). 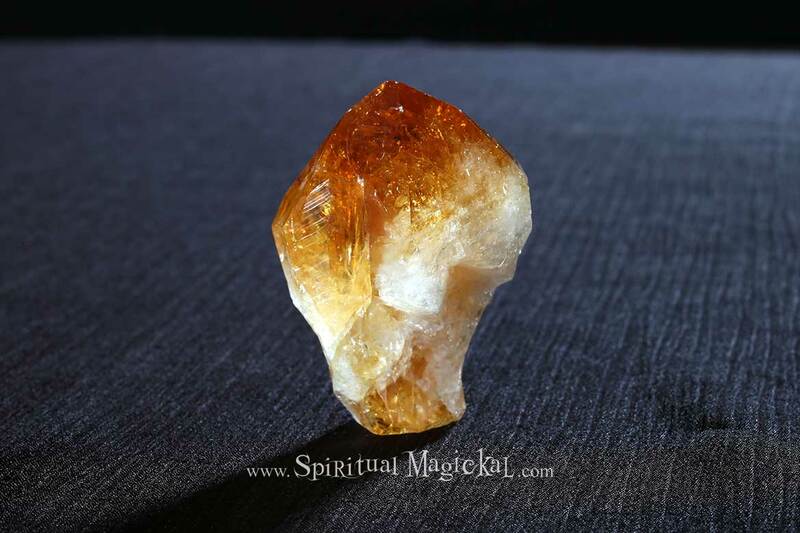 Citrine is a joyful stone with bright energy which lights up many aspects of lives of those who work with it. It has energies of good fortune and good luck, though these may appear in unexpected ways. Citrine is well known in crystal work as a money and prosperity stone to the point that it is called the "Success Stone." It is said to promote and manifest success and abundance in all areas, and in many ways. It is particularly used to promote success in business if used in the cash box of a shop, carried or worn, earning it another nickname, "Merchant's Stone". 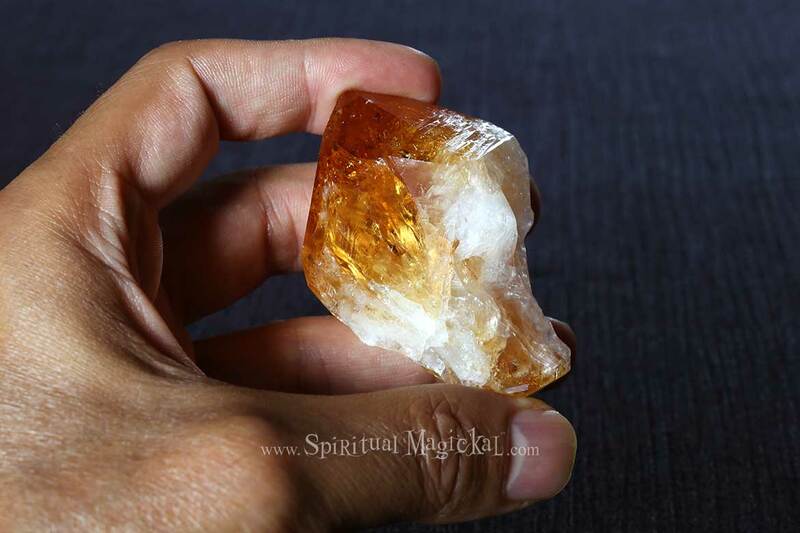 Citrine also helps with personal will, mental clarity, creativity, energetically supports digestion, metabolism, weight loss, stimulates optimism, playfulness, decisiveness in difficult situations. Enhances creative imagination, manifestation through the will. 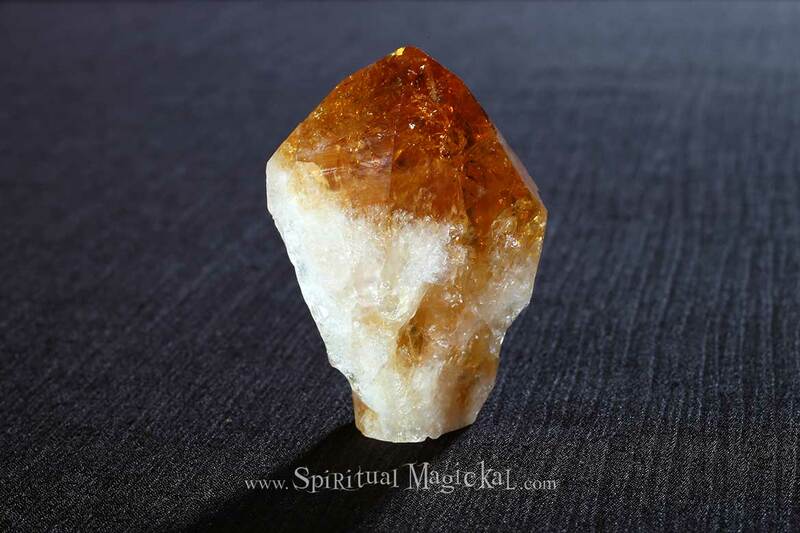 Citrine is a sun stone and also represents the element of Fire. This is a perfect size crystal for holding in your and meditating, or for putting on a desk, nightstand, or alter, and small enough to carry with you, or in your purse or backpack.